Speed search for everything, even scans! Our contract management software will make your life easier. Stop using folders and shared drives for your contracts. We alert you anytime an important contract deadline is approaching. 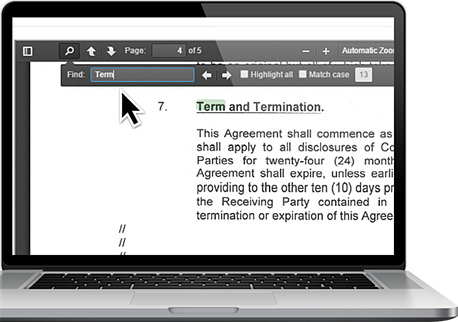 Search for any contract or document from anywhere - even the scanned ones! Simple permissions means only the right people have access to each document. Missing contract deadlines can be a disaster for any business's fiscal stability. At ContractSafe, we alert you anytime an important contractual deadline is approaching, so you are always prepared well in advance of renewal dates. 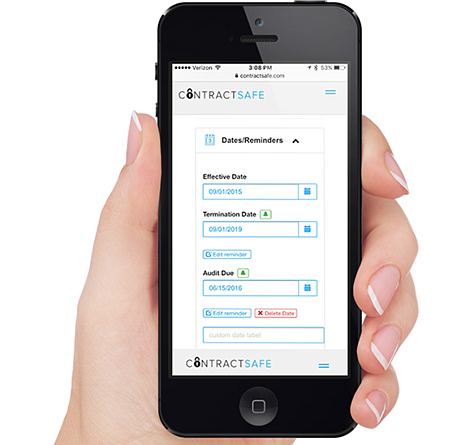 We were so happy when we found ContractSafe. It is intuitive and offers just what we need. Our contract management software makes finding the right document in no time your new reality. You can search any document from anywhere - even the scanned ones! Now I can easily control access to sensitive documents and set date reminders. I'm never going back to a shared drive! Your contracts are valuable. At ContractSafe, we take that seriously. Our cloud-based Contract Management Software is SOC2 certified and houses your data via Amazon's AMS ISO 27001 Certified Data Centers with Encryption, to keep your dealings completely secure. 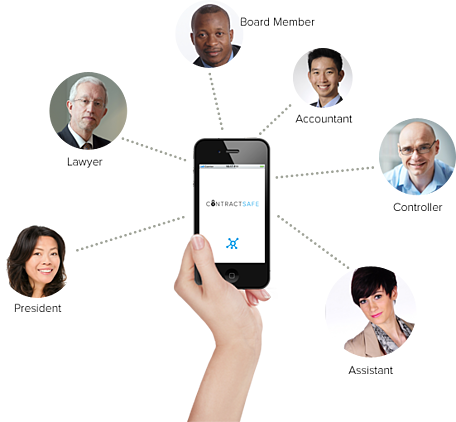 What's more, our permissioning capability means exactly the right person has access to each document. We can handle your needs, no matter how large.